‘I can see that those two teams are so much better than others,’ he says. 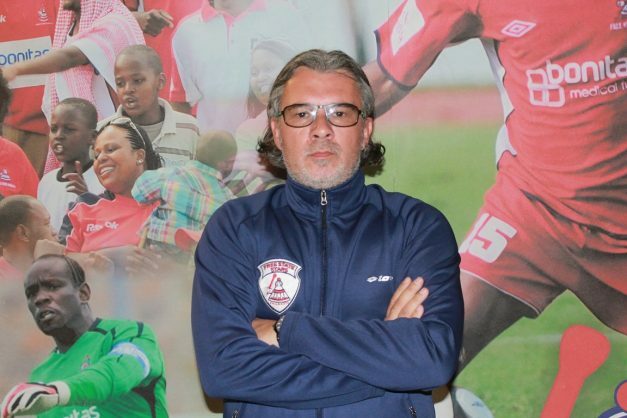 Free State Stars coach Nikola Kavazovic believes that Orlando Pirates and Mamelodi Sundowns are the only teams that have a realistic chance of winning the Absa Premiership title. Log leaders Pirates, who edged Stars 2-1 on Saturday, lead second-placed Sundowns by six points, but the Brazilians have three games in hand. “We came to face one of two remaining title contenders, I don’t see a third, if you name a third, I can agree or disagree, but name a third,” Kavazovic told reporters. “I think, playing football professionally for so many years and now coaching professionally on three different continents, I can see that those two teams are so much better than others. “Let’s be clear, with all due respect to Cape Town City, Bidvest Wits, SuperSport United, full respect, because they are all teams that have beaten me and I don’t have a right to speak negatively, they are really great teams. “But if you see the log table at the moment, there are three, four, five points from Pirates and Sundowns, but those teams are led by two definitely best African coaches and they know what they are doing.